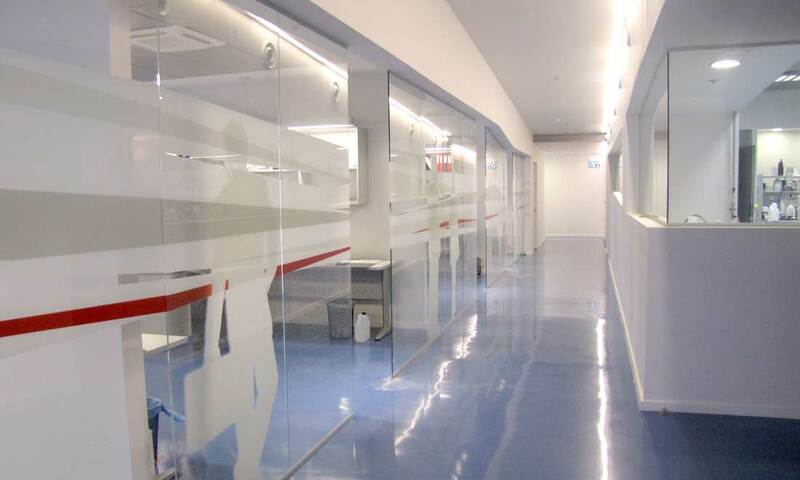 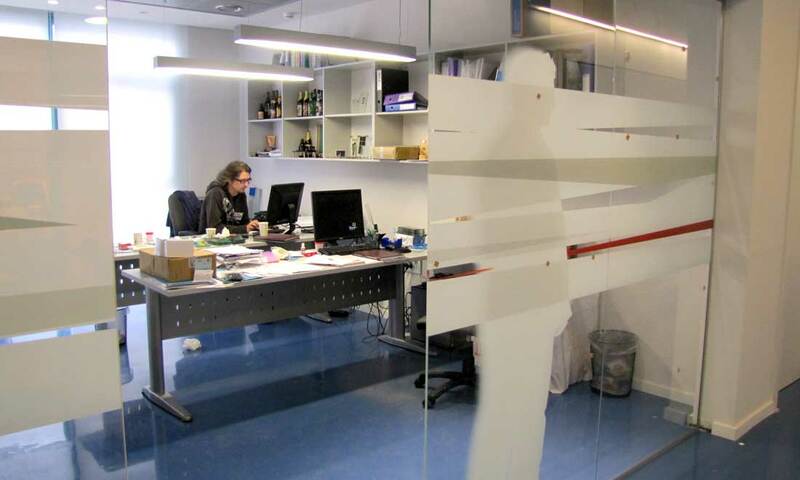 The DipTech Company specializes in digital printing on glass. 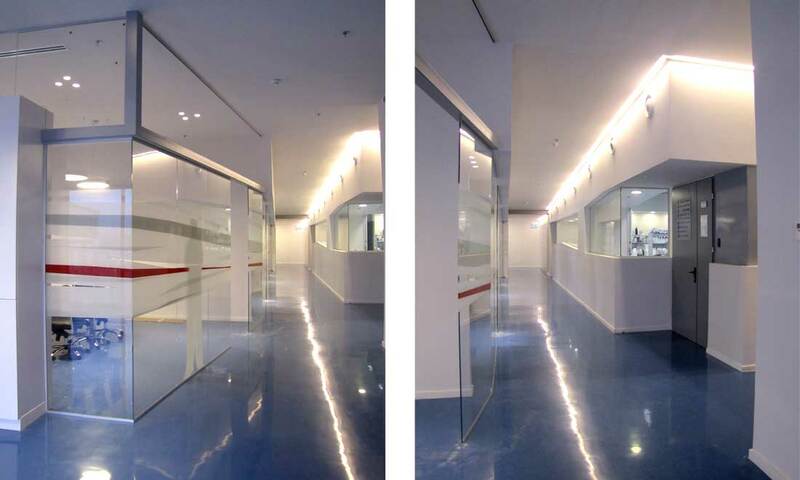 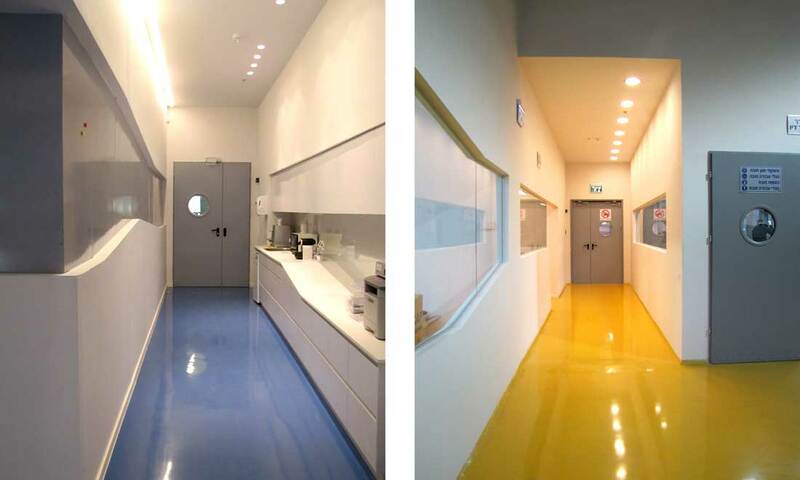 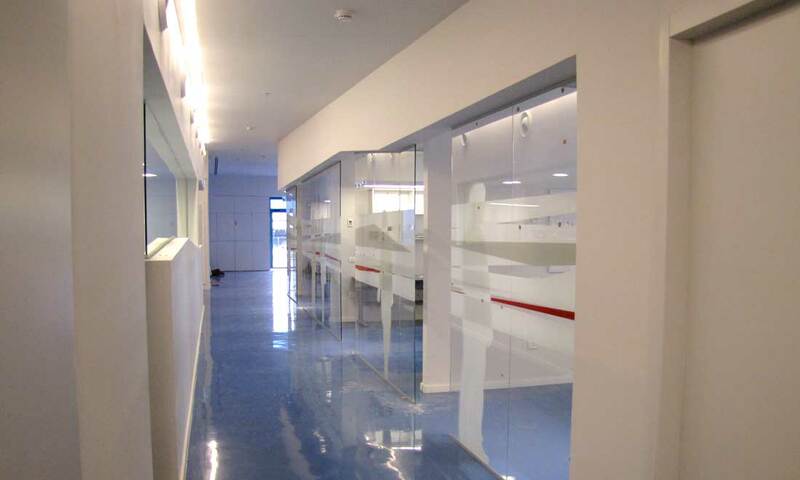 An existing space covering approximately 1000 sq.m. 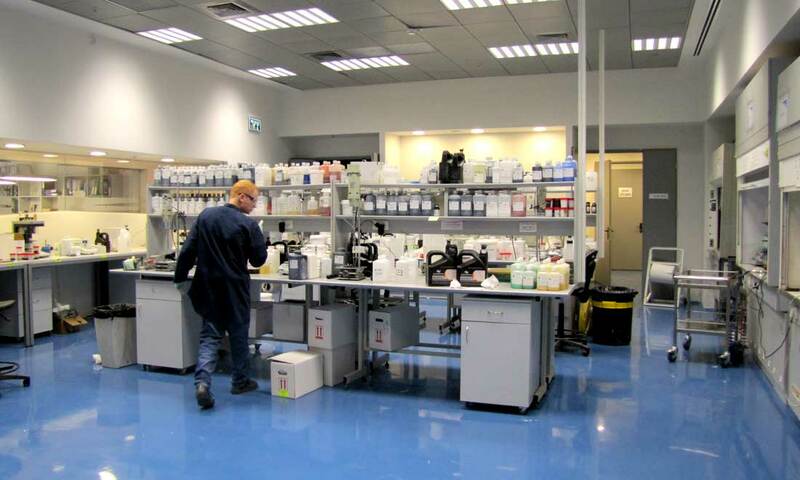 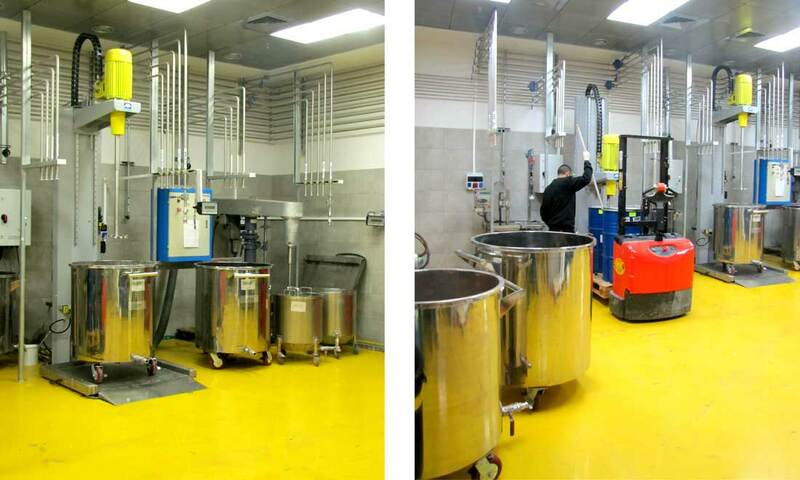 located nearby the company's building was converted into an ink factory, laboratory and offices. 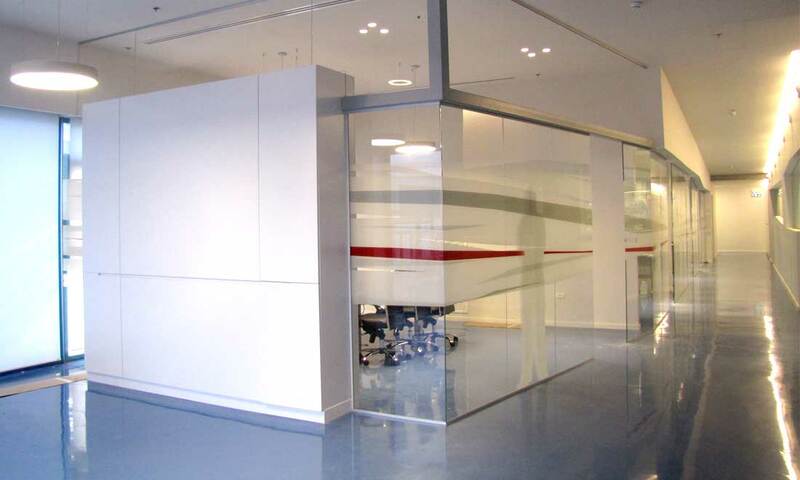 The inspiration for the design comes from the company's technology and incorporates glass elements, print and color.